I love me some cheesecake. I try not to eat a whole lot of it because, well, I don’t need all the calories! But this is a very tasty recipe that got the compliment that I should be selling it. I’ll take that! This was the first time using my spring-form pan, which worked beautifully. Be sure to read through thoroughly and at then end, you’ll find tips on how to keep your cheesecake from cracking in the middle – a very common problem for everyone. Preheat oven to 325°. I’ll say here that having a standing mixes is much easier than using any other method. Also, this recipe will fill a 9″ diameter, 3″ deep spring-form pan. If you are going to use something smaller, like a standard round cake pan – divide the recipe in half, or make mini cheesecakes in a muffin tin with the excess. TIP: Use room temperature ingredients, especially the cream cheese and eggs. 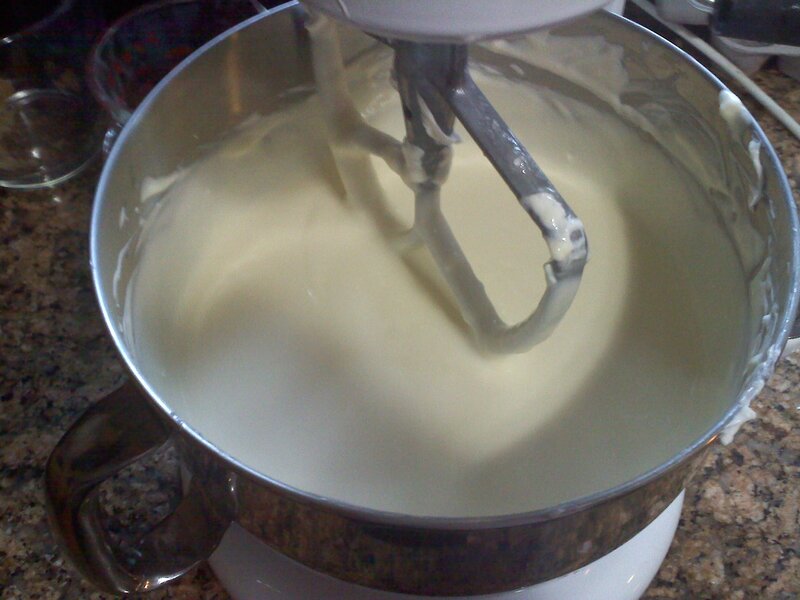 Mix together the cream cheese, sour cream, heavy cream, sugar, flour, and vanilla extract. Once it becomes smooth, add the eggs – one at a time, scraping the sides of the bowl. Try to avoid beating air into the mixture. At the end, mix in the juice of the lemon.